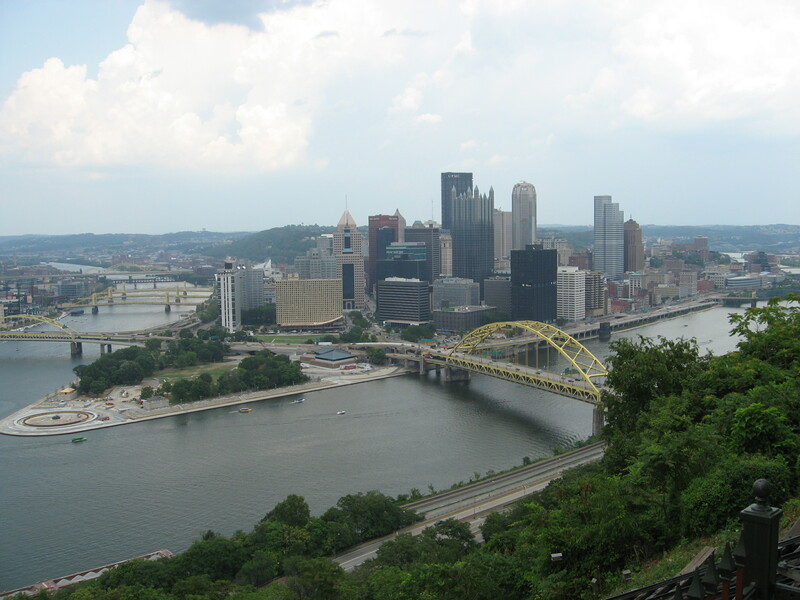 Our second local adventure took us to Pittsburgh, Pa., for a day-trip this weekend. I sent out requests for things to do and see, places to eat, etc. ahead of time and was excited at the response I received. It seems a lot of people have a lot love for Pittsburgh! We had too many recommendations to accomplish in one day so I already built a ‘for next time’ list and it keeps growing. Just a warning this local adventure will probably have a part two. The only real negative of the trip was the weather– we hit a record summer temp of 100 degrees plus and it was exhausting battling the heat as we walked around. Luckily we had some awesome foodie stops and little shops along the way so we could pop into the air conditioning every now and then. We didn’t get to the Cultural District or the North Shore on this trip so those will both be spots for round two, and there are also a lot of other restaurants and shops, especially in the Southside, that we’ll have to visit next time around. 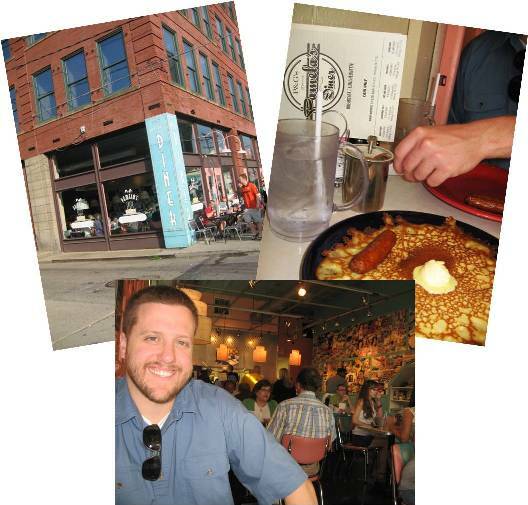 We left early in the morning and arrived in the Strip District about 8:30 a.m. to begin at Pamela’s Diner, which we were told has the best hotcakes. They were amazing–crepe style and perfectly sweet. 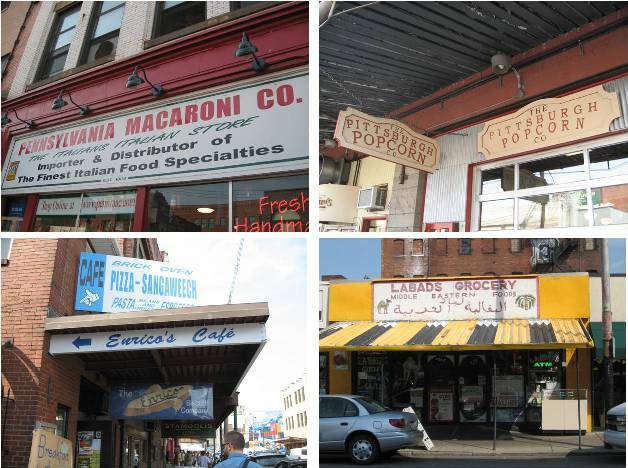 The Strip District is full of amazing old buildings and blocks and blocks of shops with everything from goods to services to foods. We just roamed around to take everything in before looking for some of the shops recommended to us. We went to a number of shops recommended by friends, including the Penn. Macaroni Co. to take in all the sights, sounds and smells of what felt like a general store. There were so many fresh meats, cheeses, breads, olives, etc. as well as seemingly infinate dried goods. We also popped in the Pittsburgh Popcorn Company, Enrico’s for some fresh biscotti as well as some other little spots for chocolates and more. 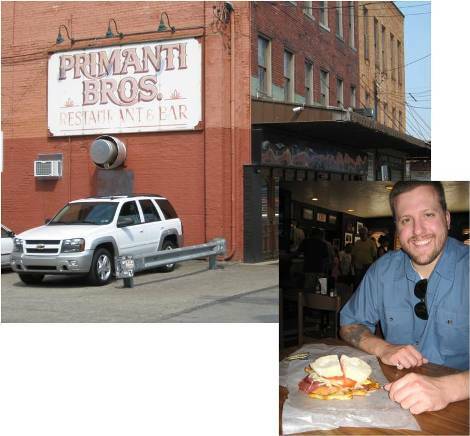 Thankfully we had shared breakfast and were ready for a snack at our last Strip District shop–the original Primanti Bros. We shared a delicous sandwich before heading back to the car and on to the next burgh. 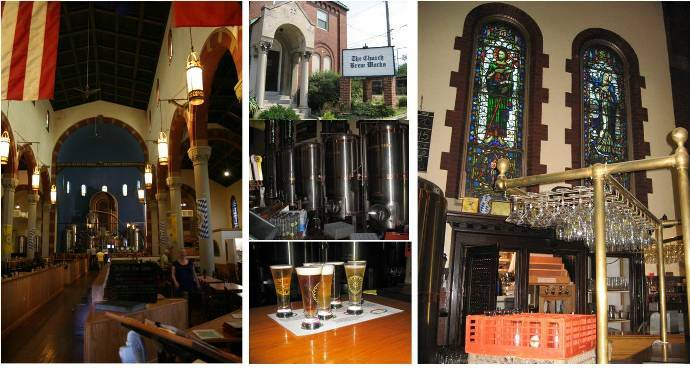 The Church Brewery, which is in fact a brewery inside an old church, ended up being one of our favorite spots. We were there right when it opened and there was already a crowd. The inside is amazing with the stained glass windows in place, pews for lunch seating and giant steel vats up on the alter. 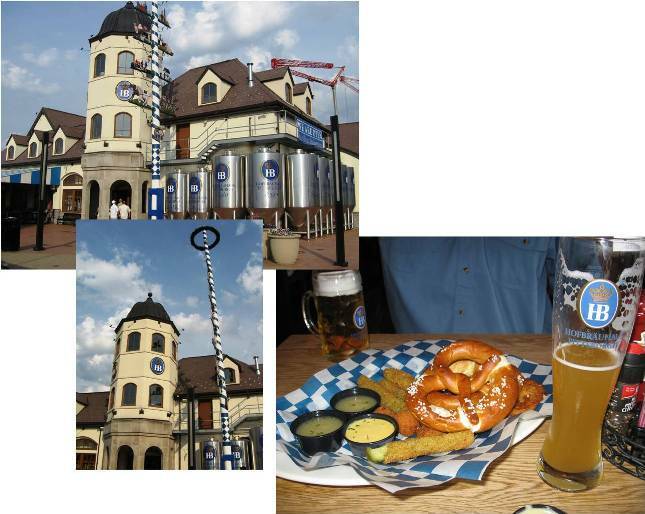 We enjoyed looking around just as much as tasting their sampler. 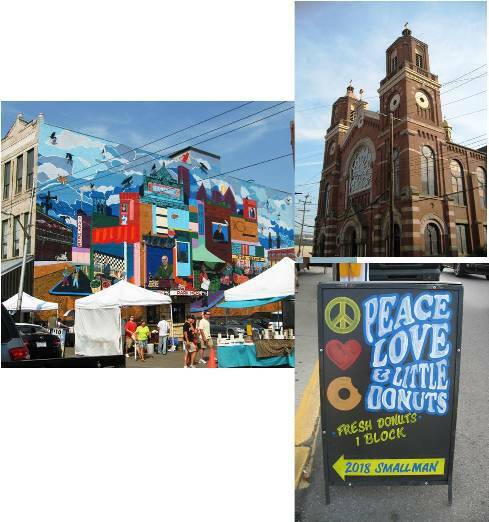 Shadyside was very cute with lots of shopping, but we hit it right in the early afternoon peak of heat. 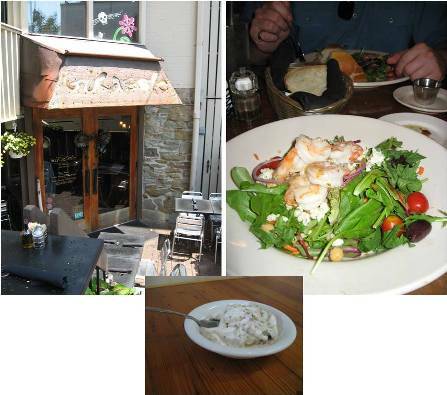 Instead of roaming, we headed to Girasole, a little Italian spot where we had a delicous lunch and cooled off for a bit. Next we walked about a mile to Oh, Yeah, a hippy coffee/ice cream shop with funky mix-ins, like the baklava and honey I had them add to my treat. We wrapped up at Kards Unlimited where we founds some unusual books and cards. We relocated again to Station Square to check out the inclines. We wanted to go up in the Monongahala, but it was closed for maintainance. 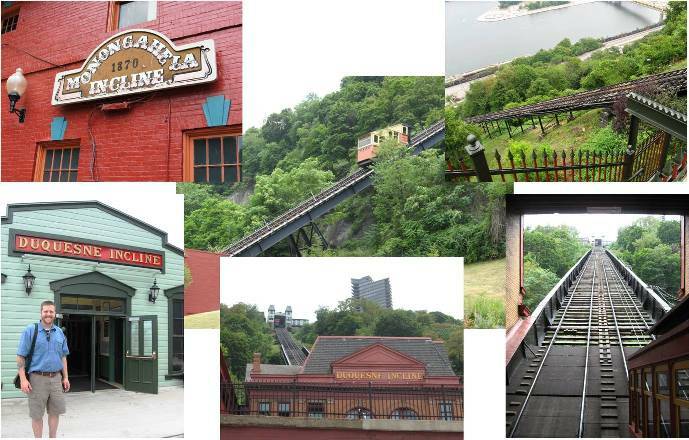 Luckily there was a bus so we rode to the top of the Duquesne incline, took photos of the entire city and then rode down. We had about a mile walk along the water back over to the Square. Station Square had lots of shopping and restaurants, including the Hard Rock, which we visited to get my pin, and also some fun waterfront. 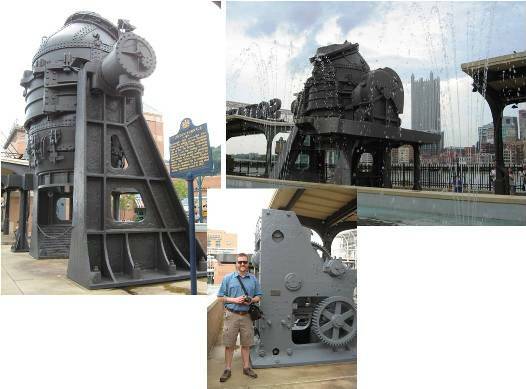 We were intrigued by the old steel furnaces and fountains that gave a little Pittsburgh history.